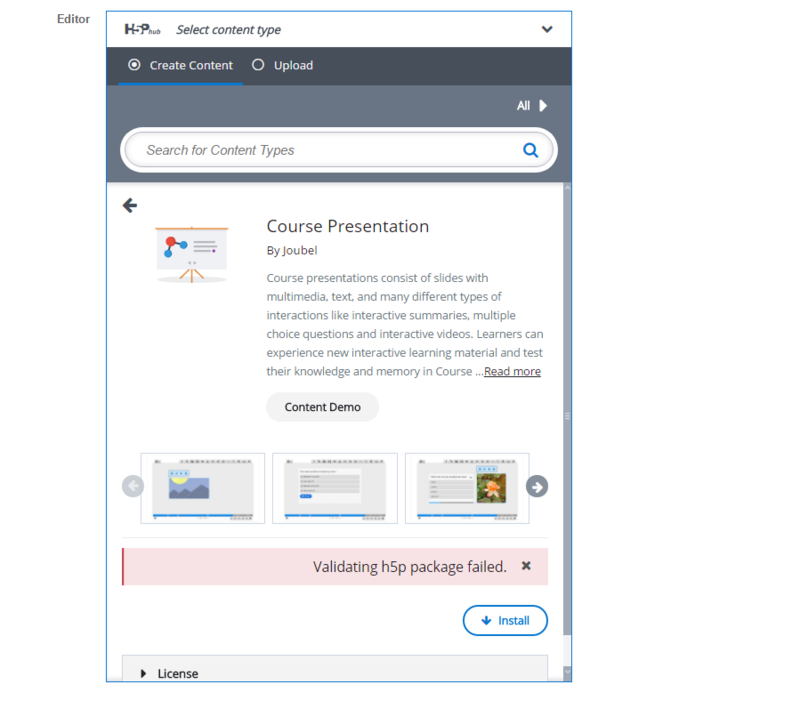 Validation package error when in installing the content type in h5p in moodle. 2. Browser that you are using? 3. H5P content type that you are using? 4. Screenshot of the error. I just saw your response on email. Which content type are you having problems installing? All of them? Usually it can be a problem with some file ending that is not supported. yes sir.I cannot install any of the content types in it. it shows validation package error when am installing the content types.it occures for all content types. The problem is probably that your Moodle installation is missing some php libraries. Most likely someting relating to zip (H5P content requires zipping, because data is transferred zipped). Your php error log should indicate which php libraries you are missing. In my personal installation I can see that I have the following php plugins (+some more).